A key ingredient to the overall success of Lakeshore East is providing community residents with a pleasing mix of easteries, services and conveniences, all within a short walking distance. 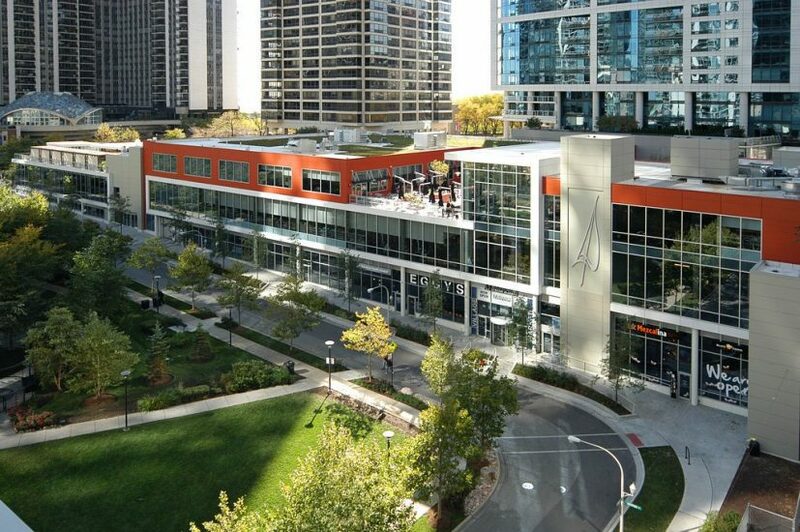 The Village Market, a 211,300 square foot Silver LEED deveopment, serves as the retail hub of Lakeshore East. Anchored by a Mariano’s Fresh Market, the center also houses III Forks Prime Steakhouse, Subway, Cuticle Nail Salon, Eggy’s Diner, D&A Dermatology, Universal Wellness Source Chiropractic, Mezcalina Mexican Restaurant, Gordon’s Salon, along with other service providers.